Archives refer to pages in which the content area contains a list of posts or custom post types that were generated by WordPress. Technically, true archive pages have some type of filter applied to them (date, author, category), but the blog posts index and Posts page are often included under the term archive. Note: There's a certain amount of confusion in WordPress itself over terminology. Different terms are sometimes used in the WordPress UI versus the names of template files. It's good to be aware of possible variations in the way these words are used. Here are the types of WordPress-generated archives and how to find an example of each. In all cases, you must have at least one post created to see an archive. The blog posts index and Posts page are often called archives, even though technically they aren't. The blog posts index is the generated list of posts that appear in reverse chronological order on the front page of your site if you accept the default selection to display your latest posts in Settings > Reading, as shown in the screenshot below. A website can have at most one blog posts index. 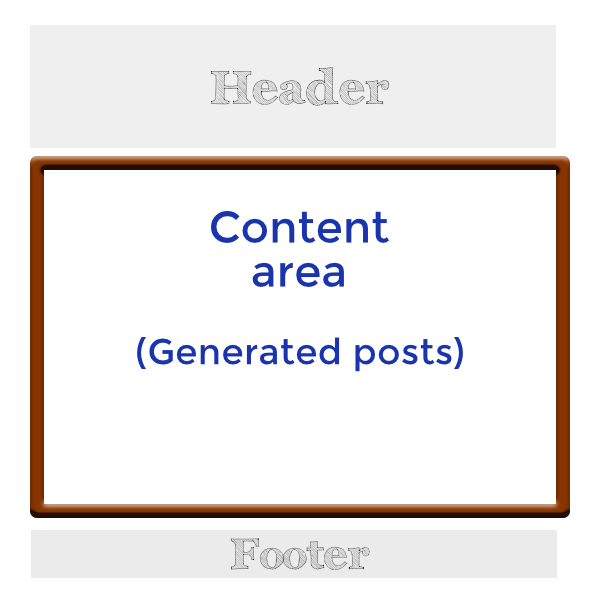 The Posts page is a static page that contains the lists of posts when the front page of your site is not set to display your latest posts. You select the static front page and the Posts page in Settings > Reading. For example, the following screenshot shows that the site's front page is set to a static page called Home, and the Posts page is a static page that was created with no content and titled Blog. An author archive is any list of posts by a single author. To see an author archive, click an author's name listed on a single post. A date archive is any list of posts within a particular date range. The WordPress Archives widget divides posts by month. To see a date archive, add an Archives WordPress widget to a Page Builder layout, or look in your blog for a section in the sidebar with an Archives title. On the published page, click the link for any month. A post category archive lists posts that are assigned to a particular category. To see a category archive, click a category listed for a single post (if your theme displays them), or add a WordPress Categories widget to a Page Builder layout and click any category displayed on the published page. A tag archive lists posts that have been assigned a particular tag item. The WordPress Tag Cloud widget can list all of the tags used in posts. Clicking one of those tag links opens a tag archive page. When you use the built-in WordPress search, a search results archive page opens to display the results. To see a search results archive, enable search in your theme or drag a WordPress Search widget into a Page Builder layout, then enter a search term on a published page.